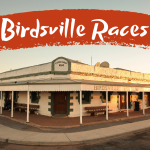 Jump on board for a trip to the middle of nowhere for country racing at its best. 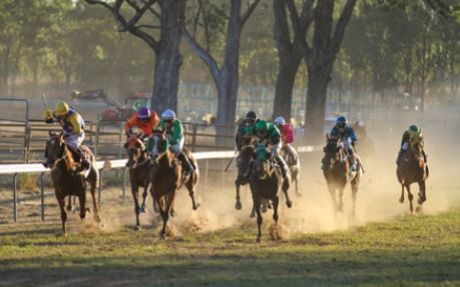 The Burrandowan Picnic Racing Club excel with a exhibition of country racing, fashion and entertainment at night. Traditional pit-fired BBQ’s add to the ambience. There’s no ATM, no mobile phone reception, no TV, no resorts, just lots of people camping out & having a great time. Visit Australia’s real Outback and it’s people. 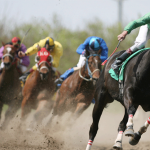 Travel in air-conditioned comfort for a great weekend of racing in the country. We depart from the Mary Valley then Gympie on Saturday morning at 9am. We will stop for morning tea at Wondai and arrive at Burrandowan in time for the first race. Fashions on the Field showcase the glamour and style that is synonymous with country racing. In true picnic style we will provide nibbles during the afternoon. 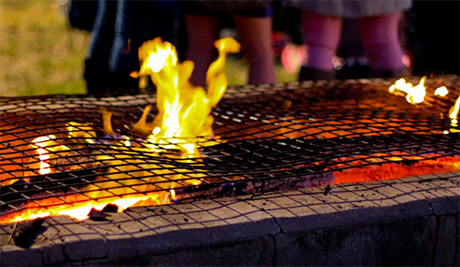 Burrandowan has a fantastic bush camping area located within the race track so bring your swag. Facilities include flushing toilets and hot showers. Wake to the country setting under huge gum trees and have a hearty breakfast before leaving. On the way home we will stop in Wondai for lunch and drinks at Hotel Cecil before continuing on to Gympie.